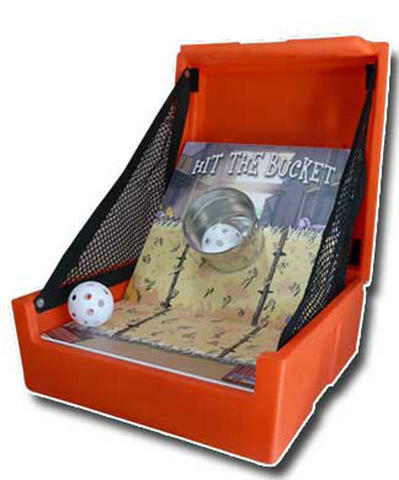 Toss the ball and try to land it in the bucket. Hit the Bucket is harder than it looks. Can you master the skill??? This game can be placed on a table top or set-up using the legs that attach. Set-up by delivery staff.